He's one of the most successful singer-songwriters of all time with more than 250 million records sold worldwide in the 44 years he's been in the industry. Safe to say the 68-year-old icon lives a secure life financially. But he and husband David Furnish don't want their sons Zachary, 5 and Elijah, 3 to inherit all the wealth that the singer's accumulated all these years. He sat down with TODAY and said, "I live well. I like to be surrounded by art and photos. I like to have my homes filled with it, so I can get inspired when I get up in the morning, so my kids can get inspired." However, he told the Mirror that the kids will have to work hard in the future to be able to earn "living well." "Of course I want to leave my boys in a very sound financial state," he clarified. "But it's terrible to give kids a silver spoon. It ruins their life." Elton John's had to work his way up in order to become a household name. "Listen, the boys live the most incredible lives, they're not normal kids, and I'm not pretending they are," he added. "But you have to have some semblance of normality, some respect for money, some respect for work." His husband David agrees with his decision. "The greatest joys — everything Elton and I have created — have come from hard work, and that's where your self-esteem comes from," he affirms. Elton, who came from a working class family, is trying to instil a great work ethic in his kids as early as now. "I earned everything I did from hard work and that's the way they've got to do it as well," said Elton. He trains them by rewarding work they do around the house. "They have to do chores in the house — take their plates to be cleaned, help in the kitchen, tidy their rooms and help in the garden, and each time they do they get a little star to put on these charts they've made," explained John. "They understand they need to do these things, and they enjoy it." 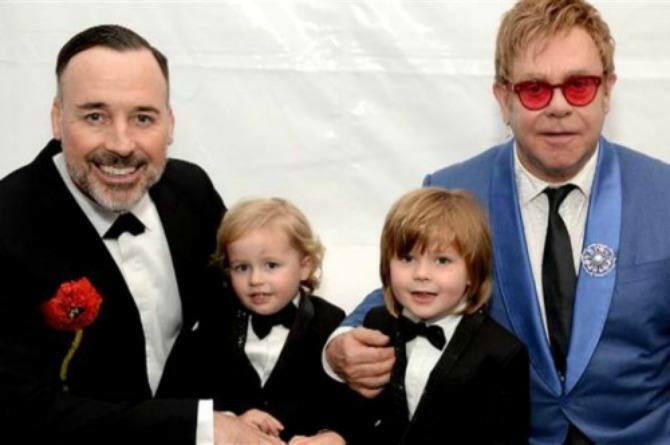 Elton and David established their civil partnership back in 2005 and they welcomed their first son Zachary, with the help of a surrogate, in 2010. Husbands who drink beer last longer in bed! Really?